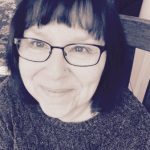 Do you have a space on your wall that needs a piece of art, but you don’t want to spend a ton of money on a piece of home decor? 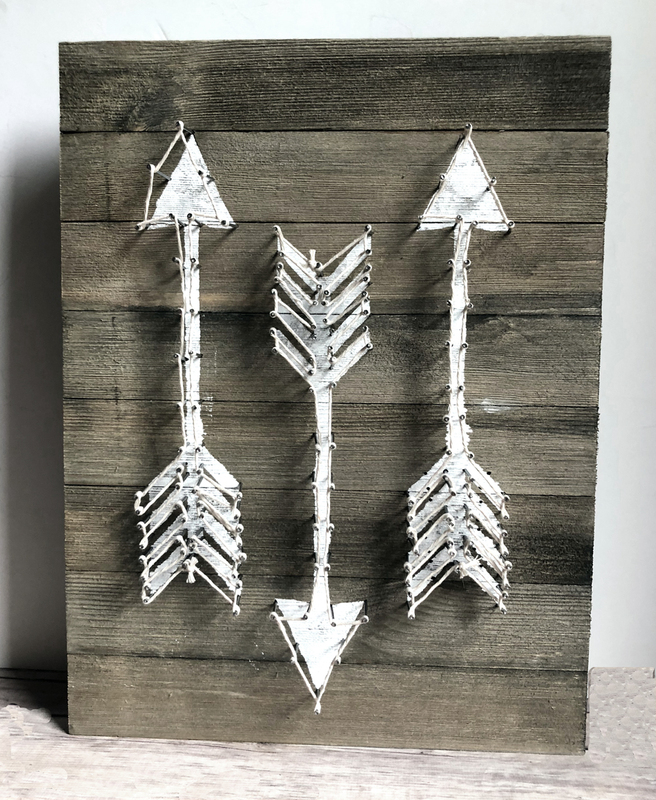 This barnwood plaque string art wall decoration might be perfect for you! 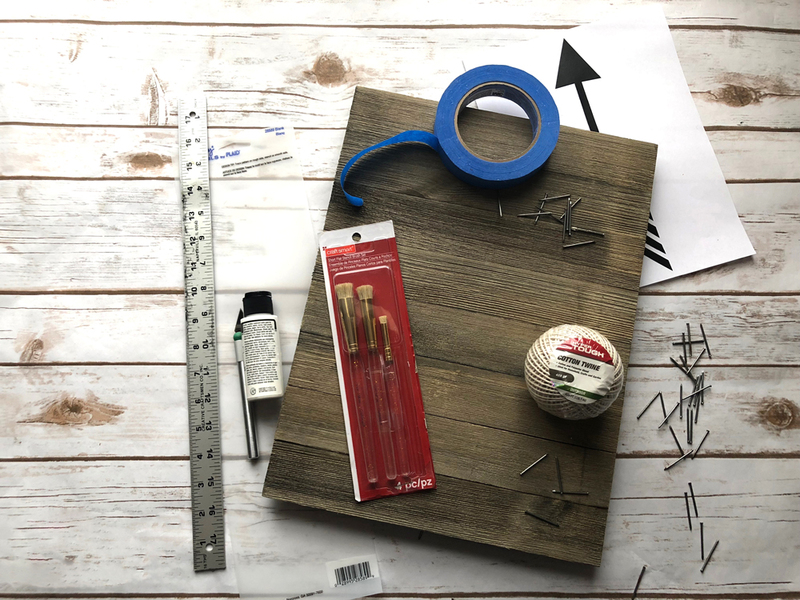 Once you have gathered all of your materials, you can make this craft from start to finish in about an hour. 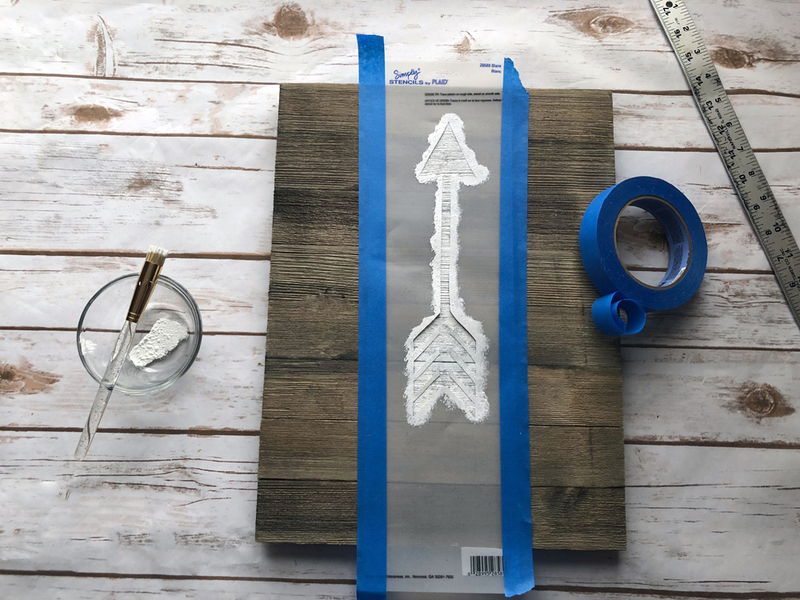 Make a piece of trendy rustic wall decor for your walls today! You will love it! 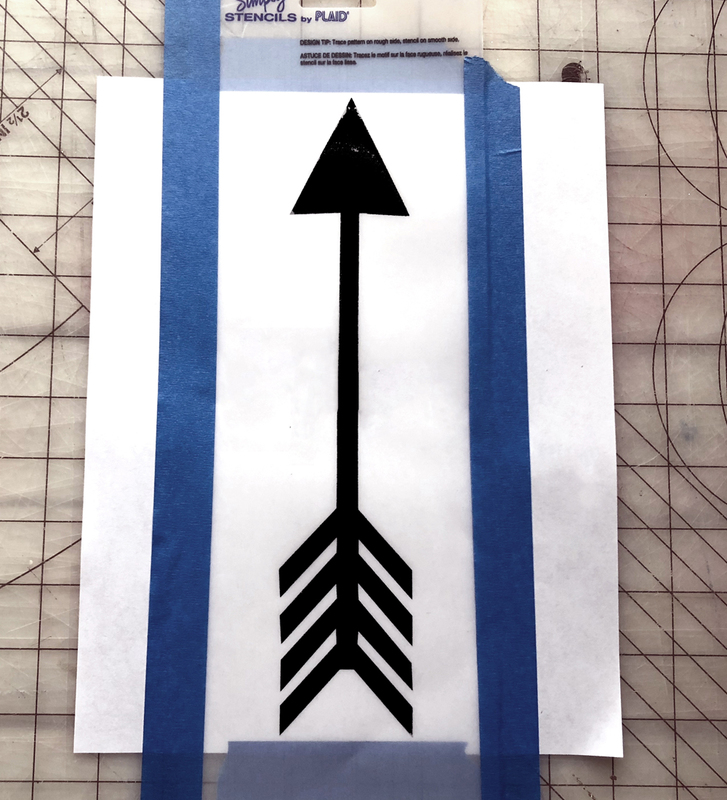 Download the free arrow PDF template and print it onto a sheet of 8.5 x 11 paper. Tape your plastic stencil onto the cutting mat. Place the printed template over the center of the plastic stencil sheet and attach it to the cutting mat with painters tape. Cut out the arrow using your Xacto knife and ruler. Remove the cut arrow piece from the stencil background. 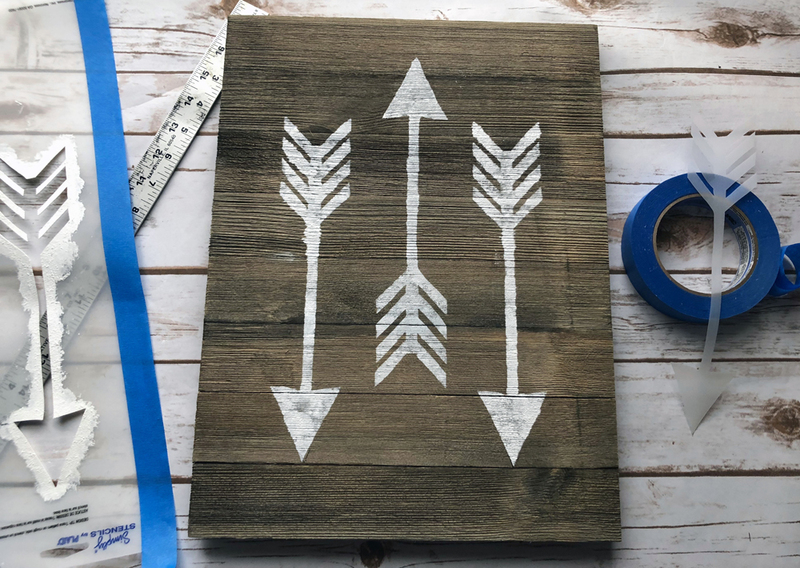 Tape your arrow stencil onto the top center of the barn wood plaque. Place some paint onto the plate and dip your stencil brush into the paint. Dab your stencil brush up and down on a scrap piece of paper to remove some of the paint. The stencil brush should be somewhat dry and not loaded with paint. Dab the stencil brush in and up and down motion to apply the paint onto the barn wood board over the stencil. Stencil two more arrows onto the plaque, with the arrows pointing downward and a couple of inches lower than the center arrow. Hammer nails about one inch apart around the circumference of the stenciled arrows. 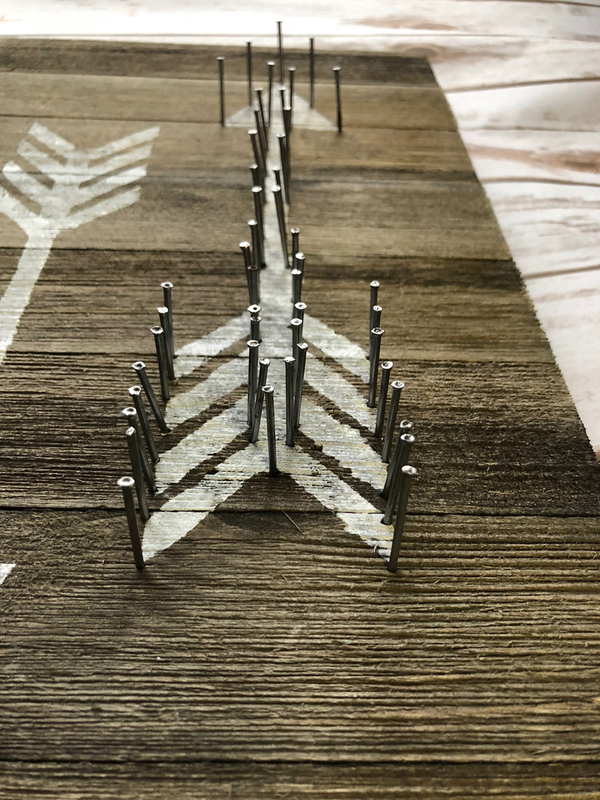 To make the job a bit easier, start hammering the nails onto the left arrow first, working your way to the center arrow and finishing up on the right arrow. If you are having a problem hammering your nails in straight, hold the nail with pliers to keep it stable while you are hammering it into the barn wood plaque. Tie a slip knot onto the end of your cotton twine and place it around a nail. 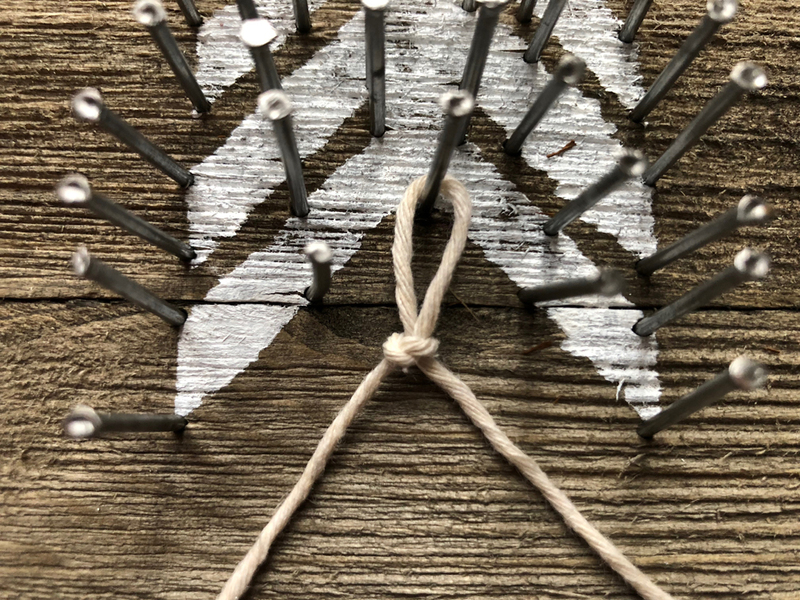 Twist the cotton twine around the top of the next nail, and continue until all of the nail heads are covered with a twist of cotton twine. 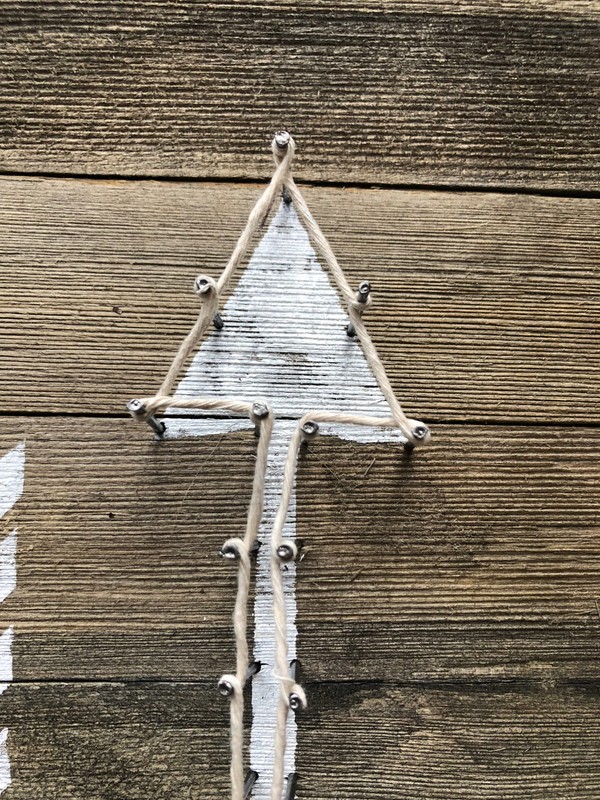 Tie the twine into a knot when you have a twine border around your arrow on the last nail and cut the ends of the twine. You can secure your knot with a bit of super glue or clear nail polish to make sure your knot doesn’t unravel. 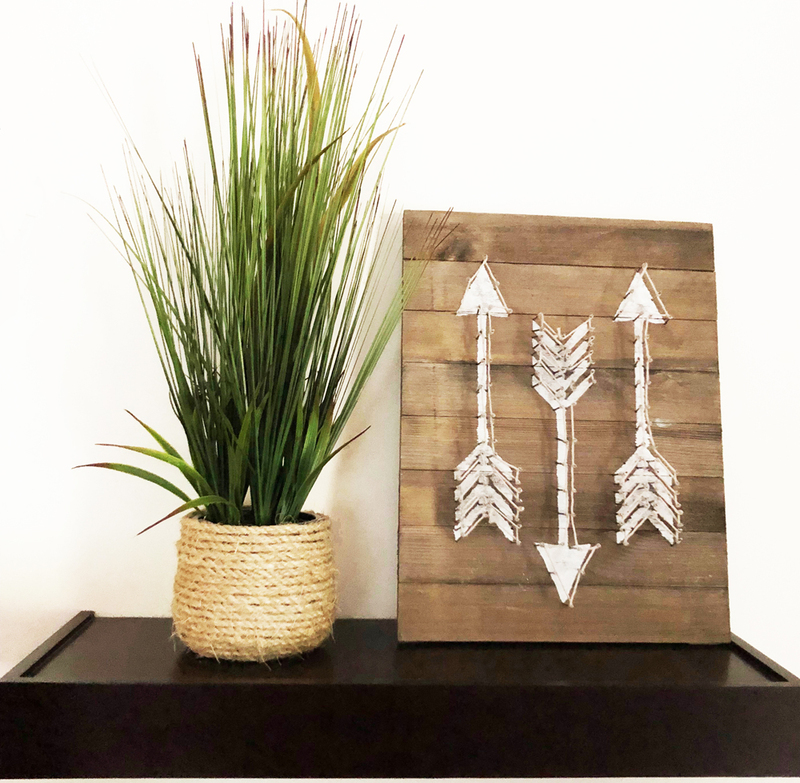 Make a cord string art border around the next two arrows. Your piece is now finished. Hany it on your wall or place it on a shelf. You now have instant lovely inexpensive wall art that you made yourself. Awesome!